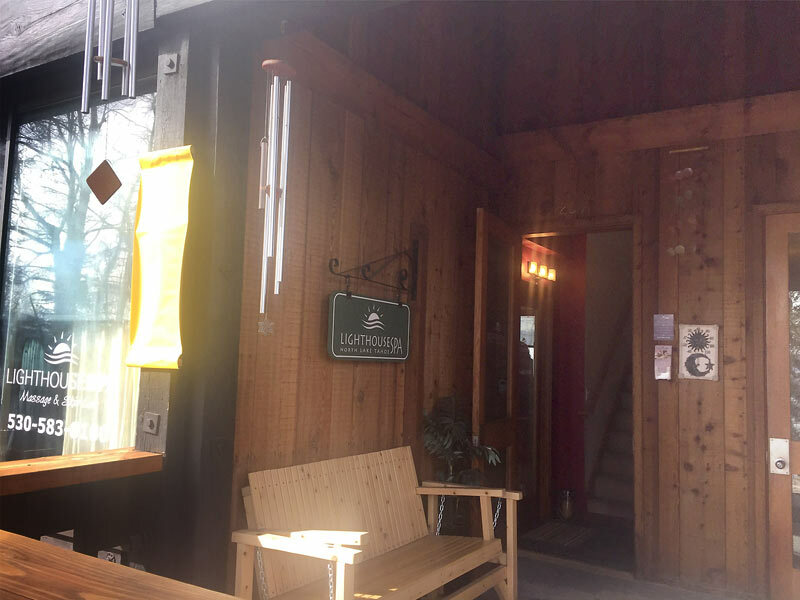 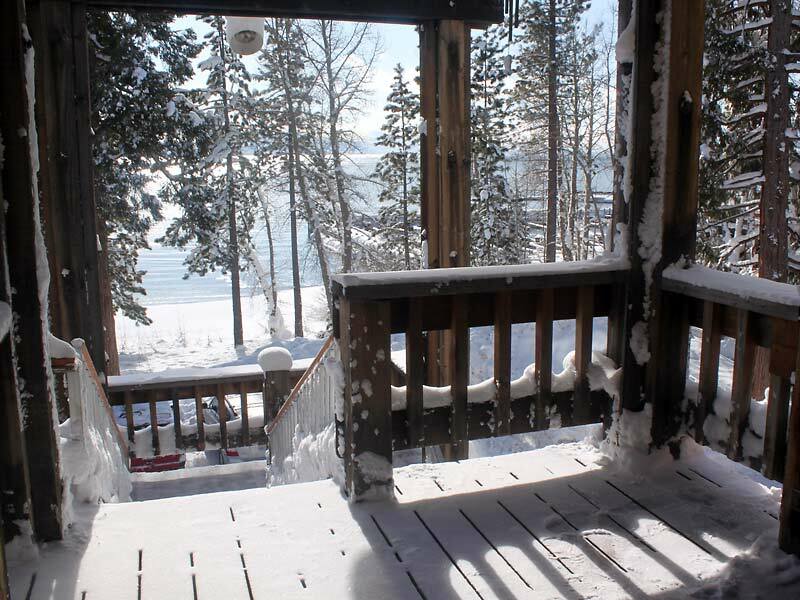 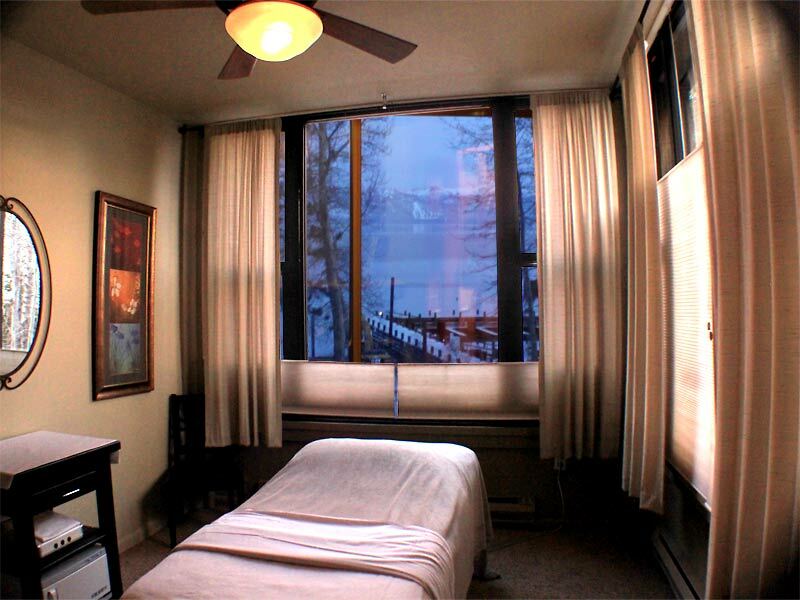 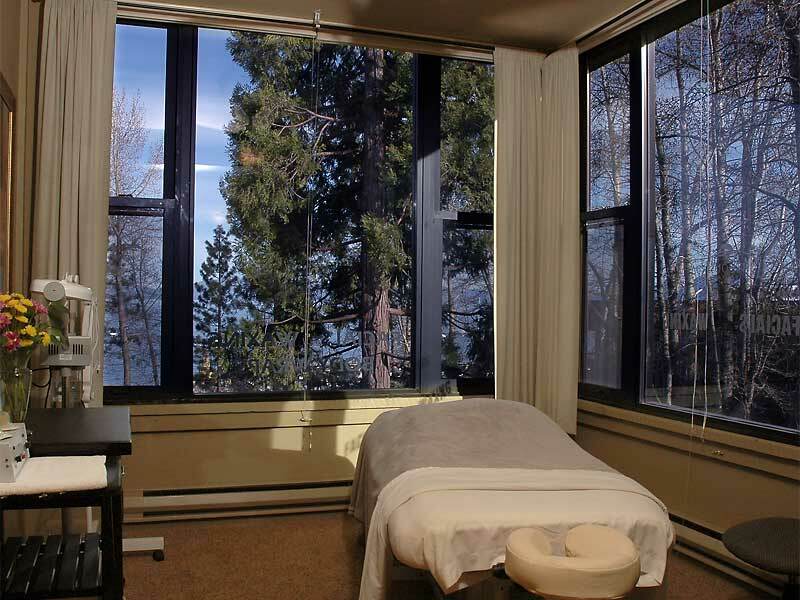 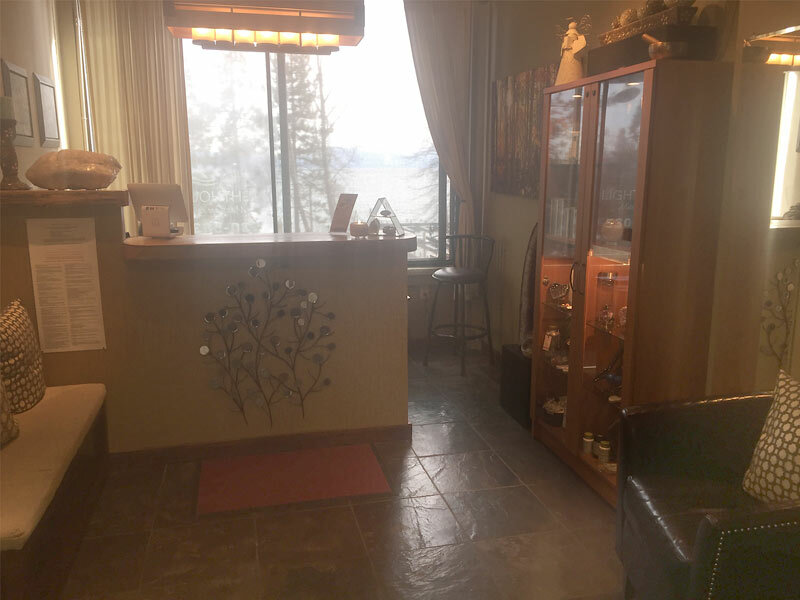 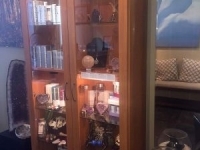 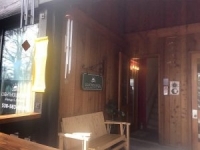 Our lakeside spa has 4 comfortable treatment rooms including 2 lake view couple’s rooms, a cozy retail/waiting area and outside bench overlooking the lake. 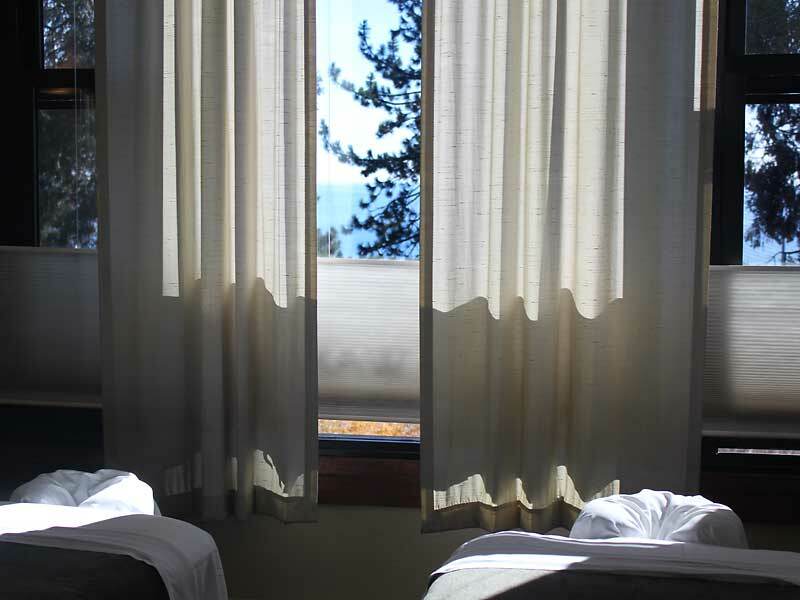 We can accommodate up to 6 people at the same time for close friends and family who don’t mind sharing our couple’s room and your spa experiences together. 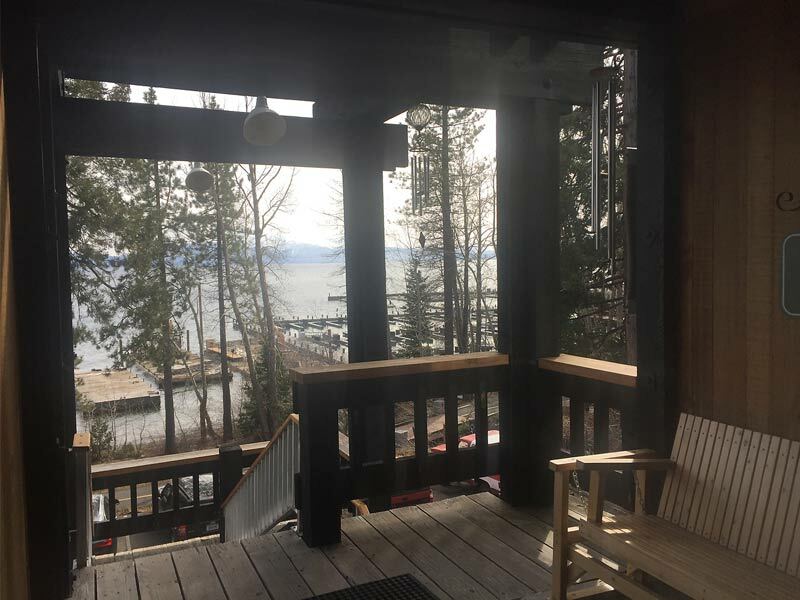 Please call 530-583-8100, email us or schedule your appointment online for the Lighthouse Spa located lakeside in Tahoe City. 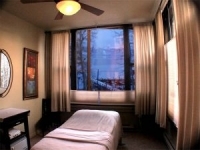 A credit card and expiration date is required at the time of booking. 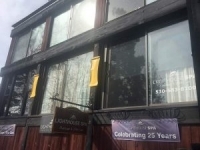 The Lighthouse Spa has been at this location for over 27 years. 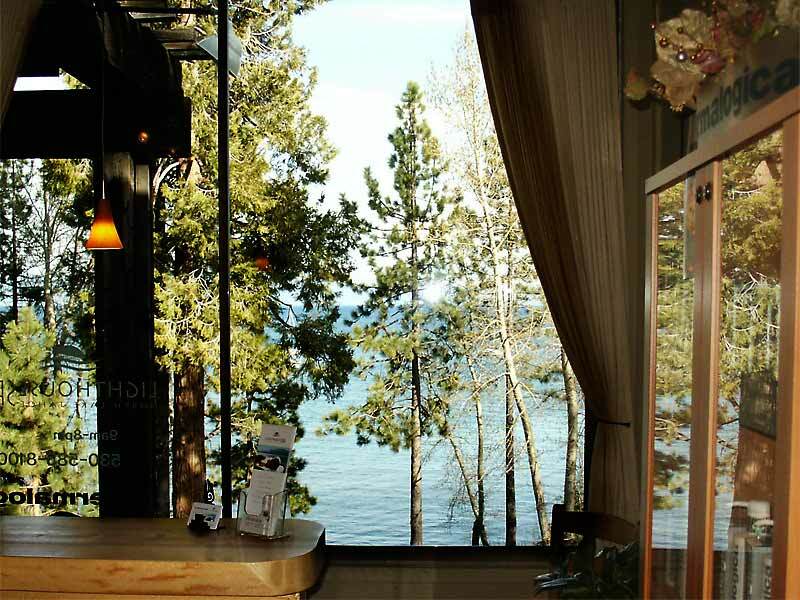 You’ll find us on the waters’ edge directly behind Safeway in Tahoe City. 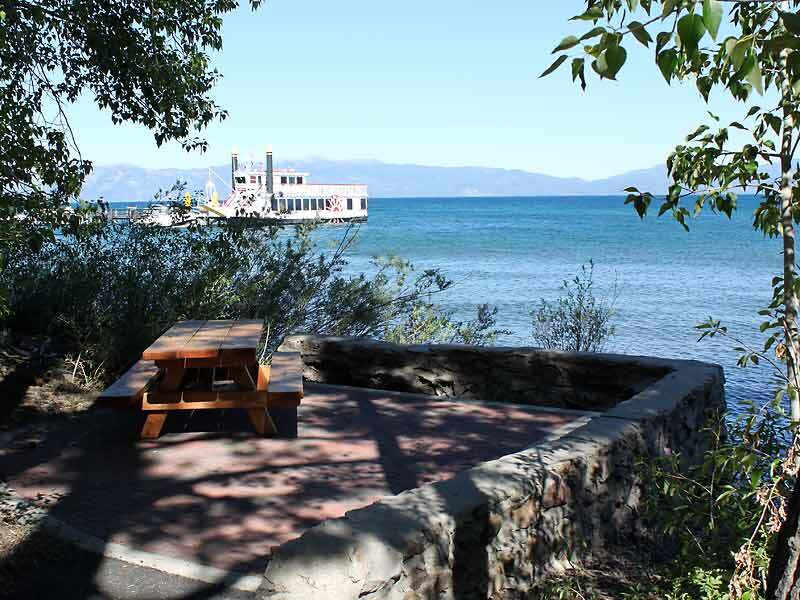 Be sure to park in the back lower parking lot on the water. We’re up the big staircase…above the A Sante’ Fitness Gym overlooking the lake. Changes or cancellation to appointments are accepted by phone up to 2 hours prior to your scheduled treatment time and 24 hours for holiday weekends and groups of 4 or more. 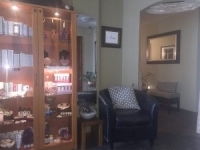 Changes or cancellations within this time will be charged up to 100% of the treatment cost.